Unless you have been living under a stone, you will almost certainly have heard of a "Wattmeter". This invaluable, and inexpensive piece of measuring equipment is the best way of ensuring that your electric powertrain is correctly matched. All components within an electric powertrain are designed to operate within specific parameters, and we need to ensure that our system is going to produce the power we are looking for. The "Wattmeter" ( I will call it a meter from now on ) is used for bench testing your setup before you commit themodel to flight. Heres how it works. You will have seen in the main intro section how the motor and battery and ESC all connect up. The meter is temporarily inserted between the battery and the speed conrollers main cables and will provide you with a readout of exactly how much current your "rig" is consuming, how many watts of power the system is providing, and also how many volts the battery is maintaining when under full load. Normally the rig is secured safely on the bench or whatever, and the throttle is advanced ( ensure you stand behind the prop / fan and that if the worst happens and the prop flies off, it will not damage anything ). Let the motor run for around 30 seconds or so, and make a note of the figures mentioned above. They will likely fluctauate alittle during the test, but you will get the trend. One of the main things this will show for you is the power - in watts - that the set up is producing. Watts are derived from multipying the volts of the battery ( under load ) by the Amps consumed. W =I x V ( I is the symbol for current, or amps ). The more volts you have the higher the watts, the more Amps you have the higher the watts. Assuming that the battery you select is not likely to be changed for a higher voltage version, then altering the propeller is the biggest single factor in altering the current that the motor will consume. Timbo, I have taken your advise, ...wattmeter......which is the most suitable, "plug in" or the "clamp" ones??????? Being an Automotive tech. is the accuracy with the clamp one finite enough for model application? ?, the ones I have used have a rather large "clamping circle" to get the measurement??? For me the beauty of a wattmeter is that it shows current & voltage under load (very important!!!) as well as watts....a clamp meter will only (in my experience) show current so you need to measure the voltage & do some maths to get the watts (volts x current). Measuring the voltage entails another meter & all the connection hassle that entails......!! 15 articles yep...its what I use. Mind you they all do pretty much the same so buy the cheapest!!! 15 articles Astro flight whattmeter, available from amongst others West London models. Ye that one works well but i use the multi-functional one by etronix's its a lipo balancer/watt-meter and voltage checker at a good price £35 from BRC Hobbies. It does everything at a low price? I ahve used the Watts Up wattmeter with great success. You will have to solder on the conenctors that match what you use for your battery and ESC, but after that it is very easy to use and small enough that you can mount it in the plane if you want to take some peak readings during the filght. I use the Watts Up too Ed! I like the way it displays the peak readings so you can write them down for referance etc after testing various combos. I notice they have come down price considerably the last year or so... Without a Watt meter one would be lost? My Astro Wattsmeter, that served me well for many years is now mostly unused in favour of a Graupner clamp meter. The big thing with the clamp meter is that it is non-invasive, easy and simple to use, which encourages it's use. The Wattsmeter maybe gets 5% of the use, and only then when I specifically want to test how the batteries are holding up under load. There's also the small matter of inserting what I measured on mine as 13 inches of extra wiring between the battery and the ESC, which could potentially cause problems. Others' Wattsmeters wouldn't have as much wire, since I retained the original Astro plugs and fitted short extensions to my usual connectors. Nevertheless I still find the clamp meter easier to use, as do those who borrow it. True you don't get any reading other than the most critical amps drawn, which is what preserves your electric bits from letting out the magic smoke. 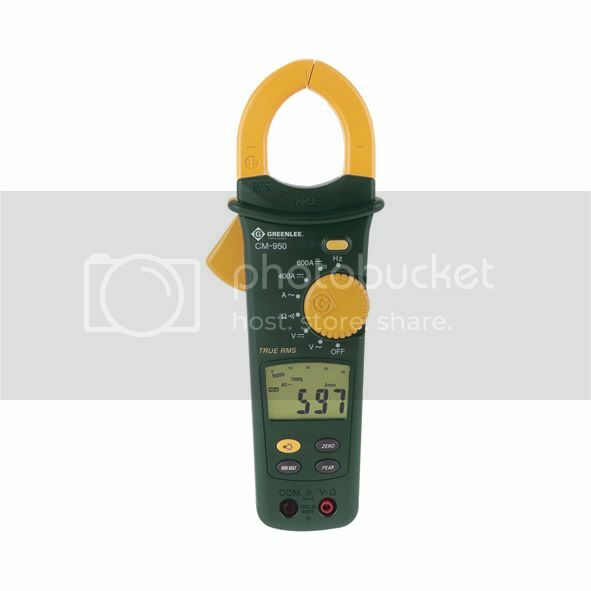 If I were only able to have one meter it would be the clampmeter. They will all do pretty much the same thing Eddie. Its like most things, cars, washing machines, toasters etc - sometimes you get what you pay for, other times you pay for the name, and some people like a badge. I like VFM.